After an uber frustrating four days of nail biting, hair pulling, constant stretching, walking it off, and wrapping my brain around the process, I've got a few things to show you. 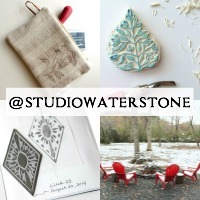 First, the pretty part...new iPad cases in the works. 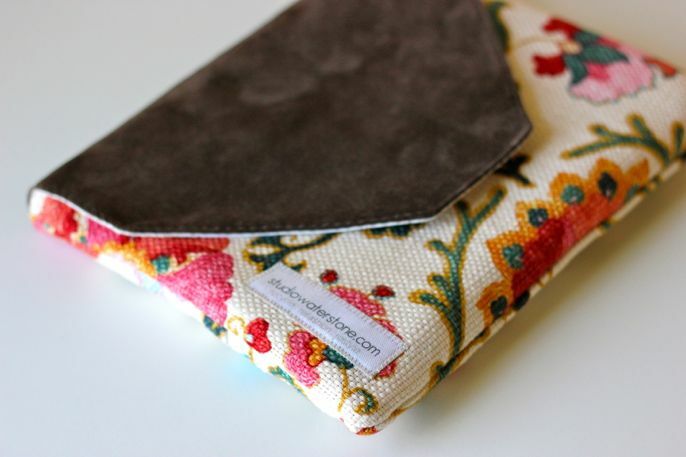 I've completely sold out of the current batch and am working on more cases featuring recycled leather and girlie prints. I am madly in love with the one shown here. It's beautiful but, believe it or not, it's a reject. The only reason it won't make it to the shop (but don't worry, there are more like it) is that I put a magnetic snap on that's too small and not very strong. An unconscious ploy to keep it for myself? Quite possibly. A sampling of the colors. Please have a look see and tell me what you think. See any errors? Have any suggestions? As always, I appreciate and welcome your feedback. This week will be a busy one. My arm was killing me at the end of last week and sewing had to take a breather. This week I've got iPad cases and maybe a leather bag or two on the agenda. Then I'll be heading back up to Ohio towards the end of the week to be with my sweetheart for a few weeks. Whew! Makes me tired just thinking of it. Enjoy your creativity and the (sometimes hidden) beauty all around you. 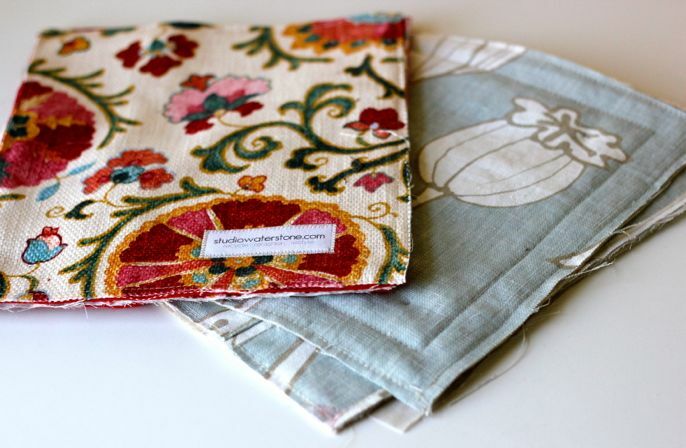 Love Love Love that fabric ... my colors .. & reminiscent of Florentine design .. gorgeous! You and now in the world of .com .. very CooL! and so Fabulous! Have a great time w/your husband. If you take a road trip to Cleveland let me know! Awesome ~ all of it! The web site looks good so far! Good luck with everything this week and enjoy your time with your husband. Oh my goodness! I love your new website! Are you doing that all yourself? I am in desperate need of a whole new website. I would definitely want my blog to be part of it. Can you enlighten me on the program or service you are using? I want to get rid of my hosting service and set something new up. 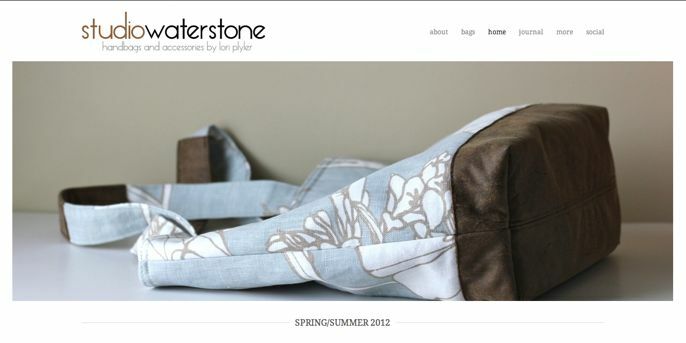 I like the clean look of your site, and the way your Etsy shop is displayed within. I wish you were closer so that I could tak you out for coffee and pick your brain! And I will be stalking you for a leather bag... so rest up that arm! ;-) Have a great time getting reacquainted with your sweetie! First of all, your IPAD pouch is awesome! 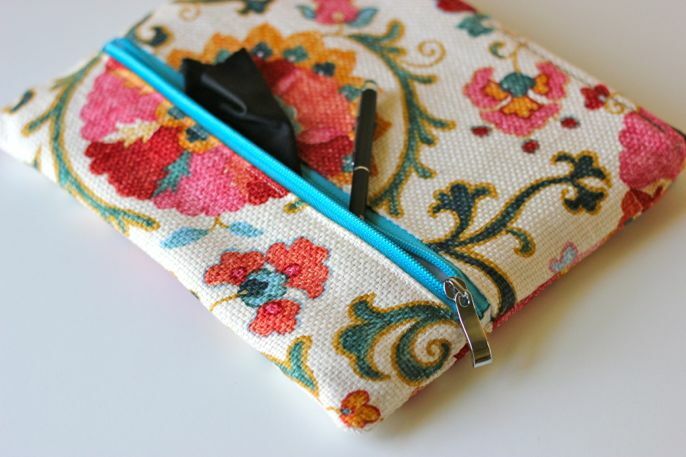 my favorite part is the little zipper compartment to stash a pen or two!!!! Secondly, if only I had 1/100th of your computer/graphics design capabilities......your website is so perfect! Clean, user-friendly, gorgeous photos...I really love it!